The day after the doors closed at Min Min. John Maynard Keynes once said that there’s nothing sadder than the doors closing on a small business. 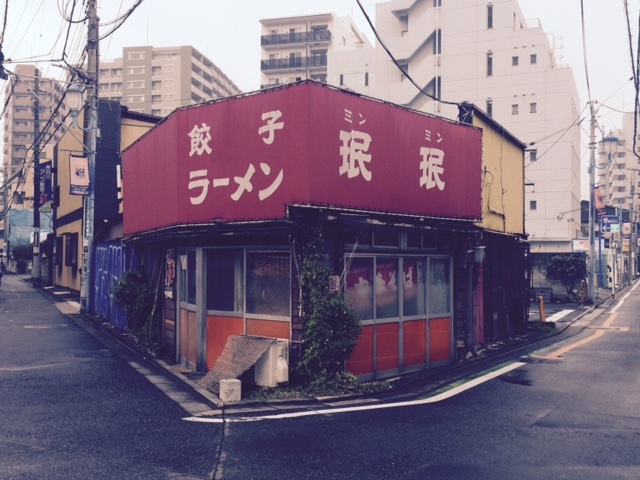 We were standing outside what remains of the Min Min ramen shop in Kanagawa. The customers have long gone, replaced by rogue plants growing along one side of the premises. Elway, a 44 year old Texan with sandy blonde hair, shakes his head as he takes in the scene of his once thriving business. Nature starts to reassert its eternal claim to mother earth: Min Min as it looked last week when went back there after six months. Posters like these, which adorned the walls of Min Min, gave customers a fascinating glimpse into how alcoholic beverages were advertised last century. In the end, it seems, the scales were tipped by more foreigners coming in. “I think – no, I know – the locals found themselves being overwhelmed by the loud whiteys. My authentic ramen shop had become a gaijin hangout, with all the first world whining that you’d expect. There were requests for vegetarian gyoza, inquiries about wi-fi access, and disappointment when I told people that we had no craft beer. Radiant pictures such as this contributed to Min Min`s authentic retro feel. Born with the American can-do spirit, Elway still hopes to make a comeback in another prefecture. At the moment, he’s just waiting for an elderly aunt to die before he can get financed. 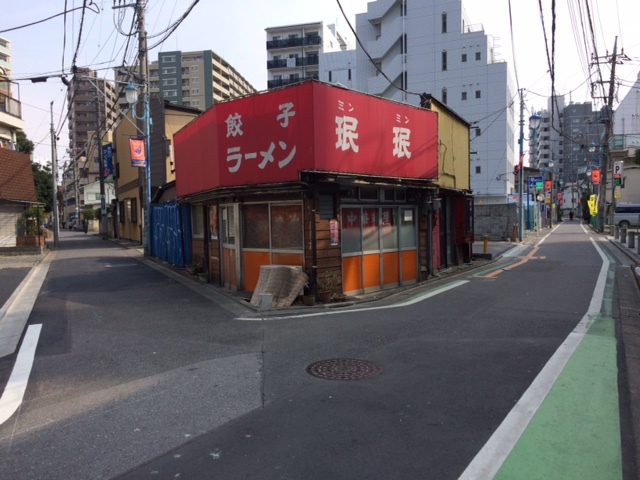 Then, he says, he’ll be changing his name to something like Hideyoshi Yamanaka or Shohei Kawaguchi in the hope that no foreigners find out about his shop.